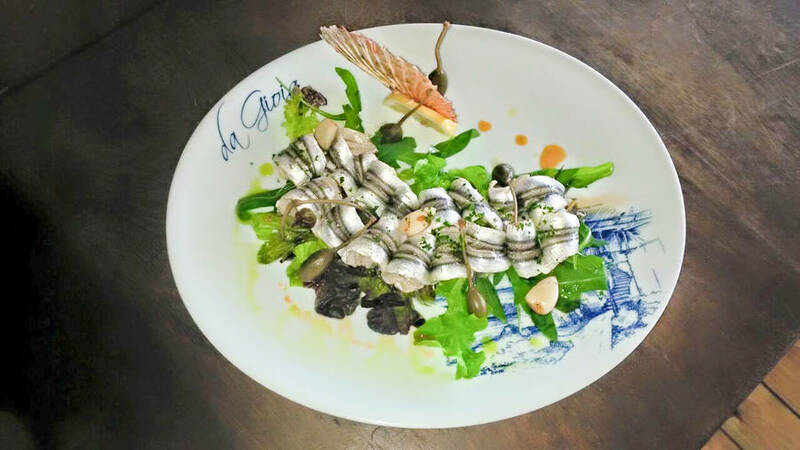 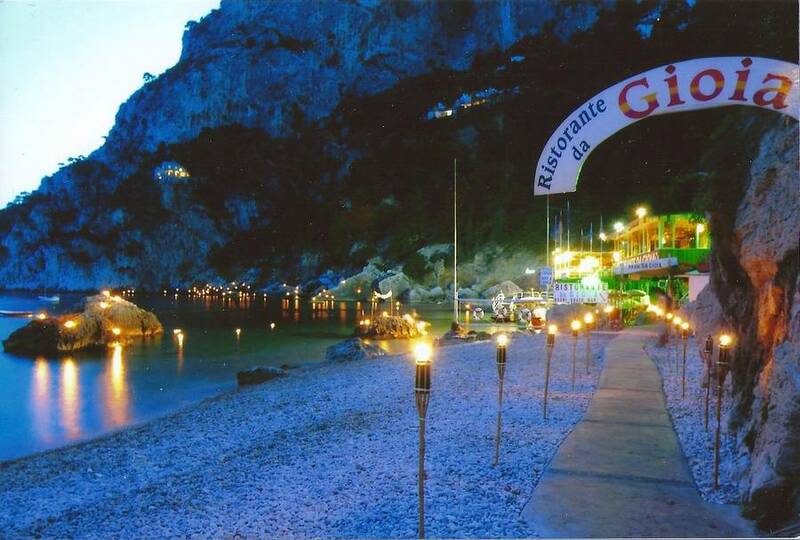 Restaurant da Gioia on Capri: Fish, seafood and... Faraglioni! 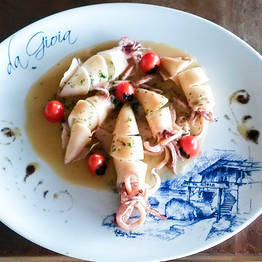 da Gioia - Fish, seafood and... Faraglioni! 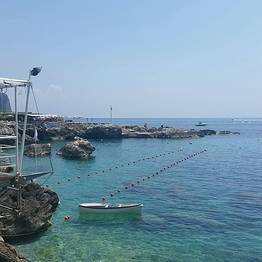 In the Bay of Marina Piccola and within swimming distance of the Faraglioni, da Gioia is one of Capri's most-loved, family-run restaurants. 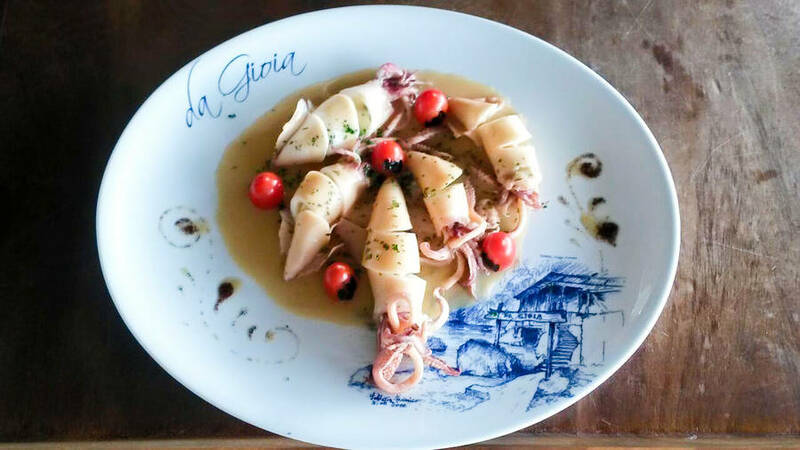 Not surprisingly, given the restaurant's sea edge location, fish and seafood dominate da Gioia's memorable Mediterranean menus. 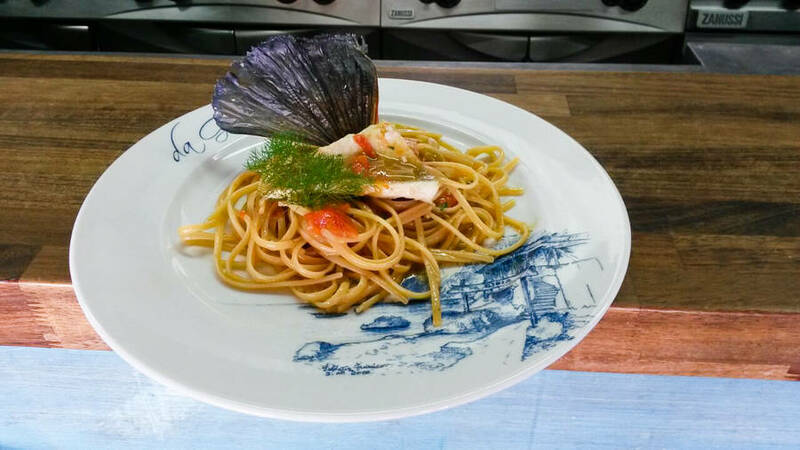 Seafood risotto or linguine with mussels and clams? 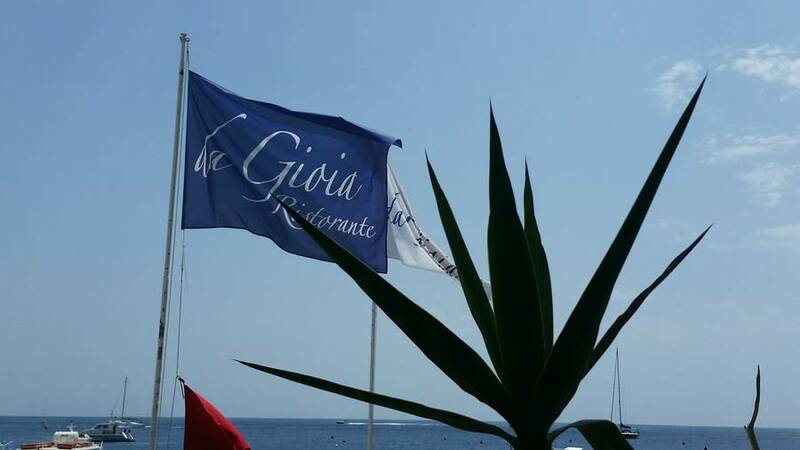 The kind of difficult decision facing diners at da Gioia each lunch time! 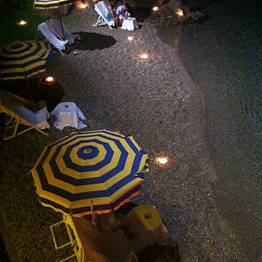 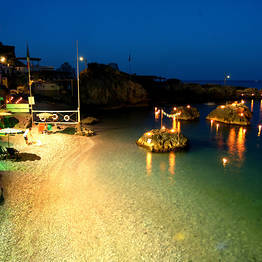 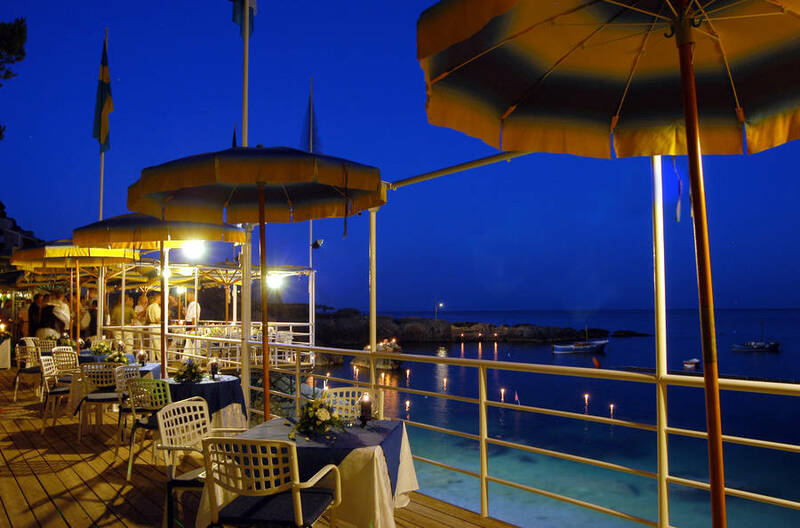 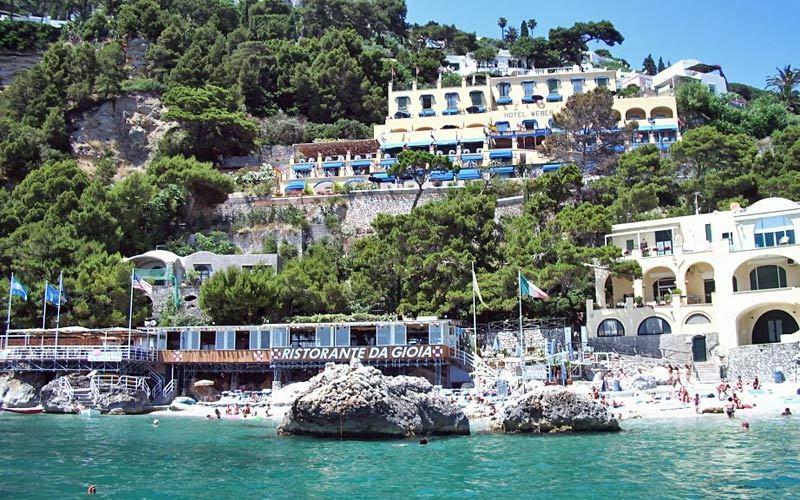 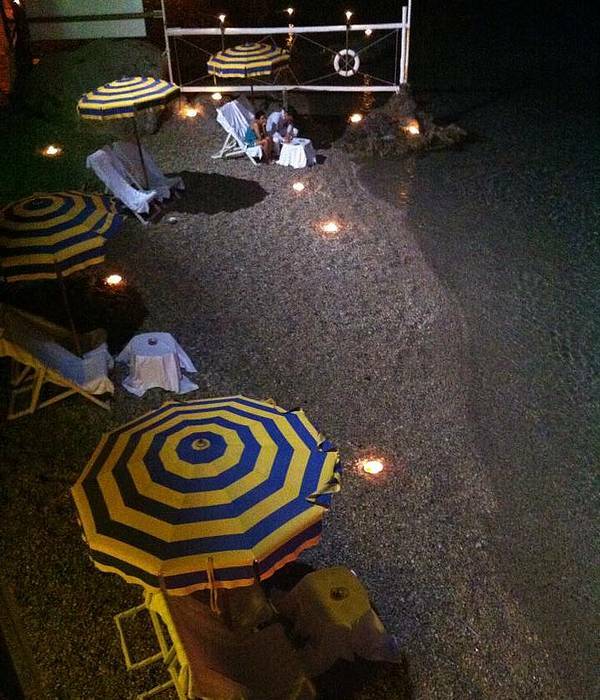 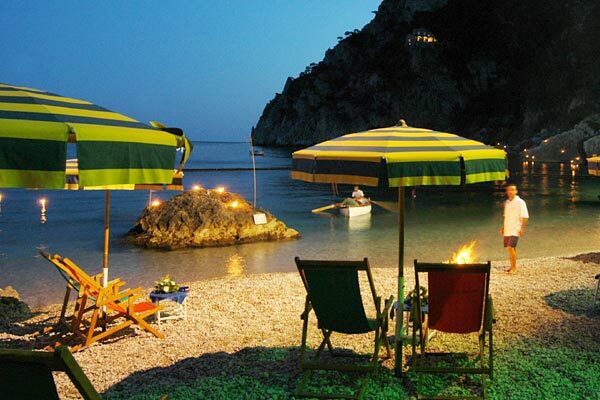 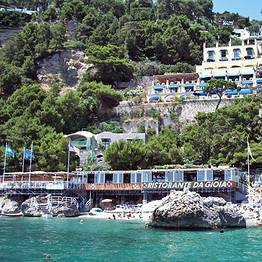 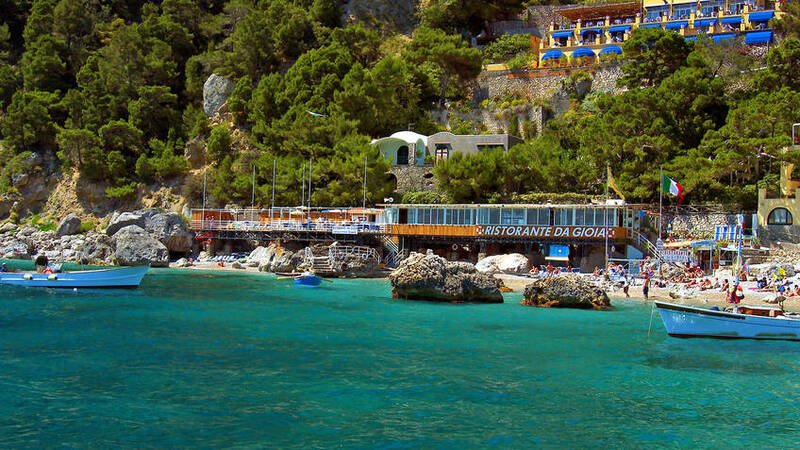 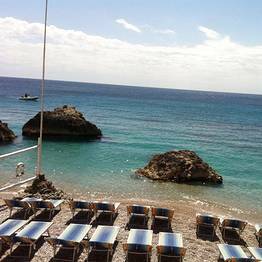 Da Gioia's small pebble beach adds yet further to the appeal of this idyllic sea front eatery. 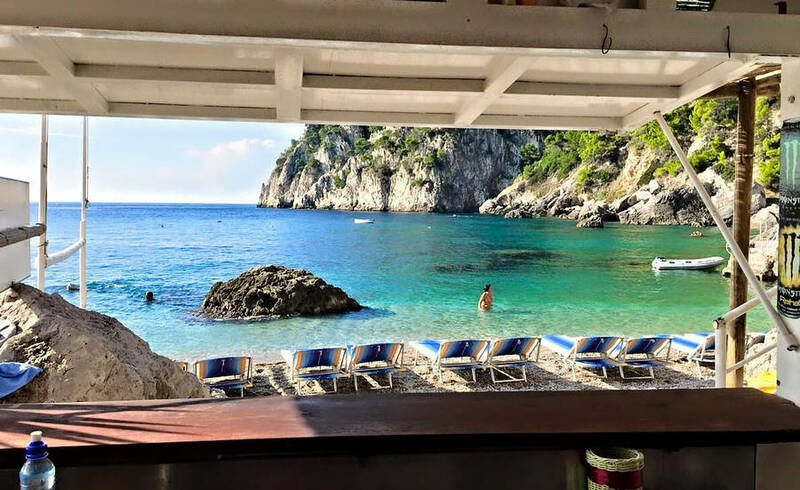 Equipped with deckchairs, sun loungers and showers, the private beach is the perfect spot in which to top up your tan between a swim in the sea and a meal at the restaurant. 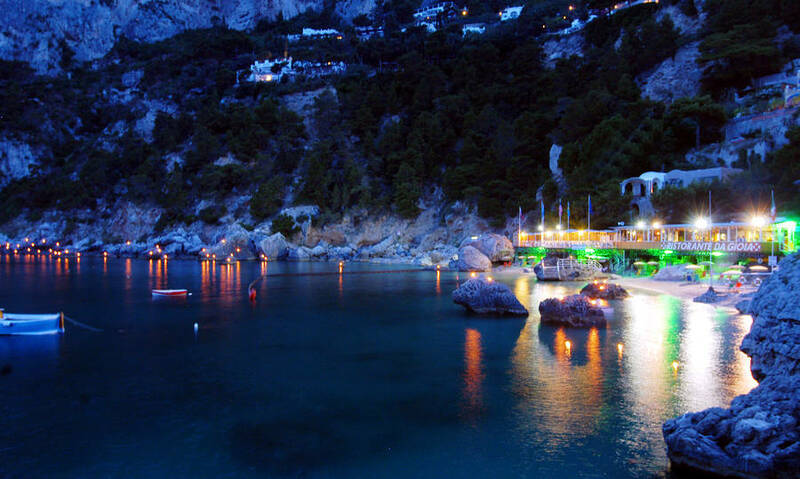 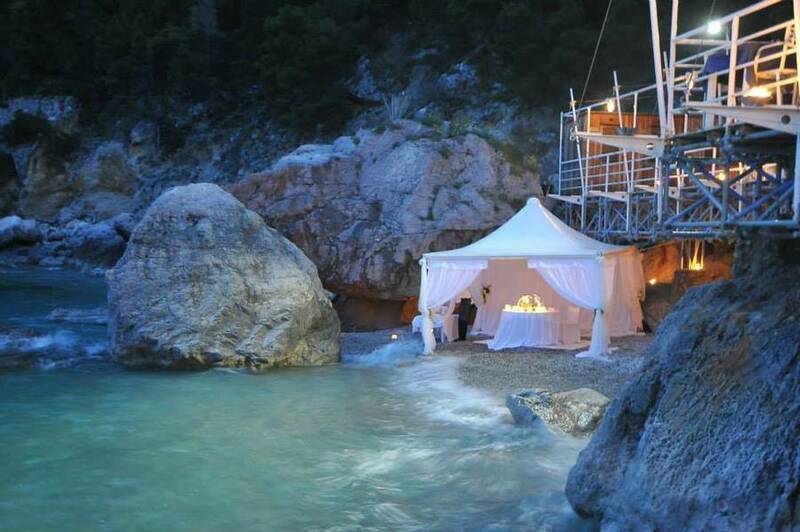 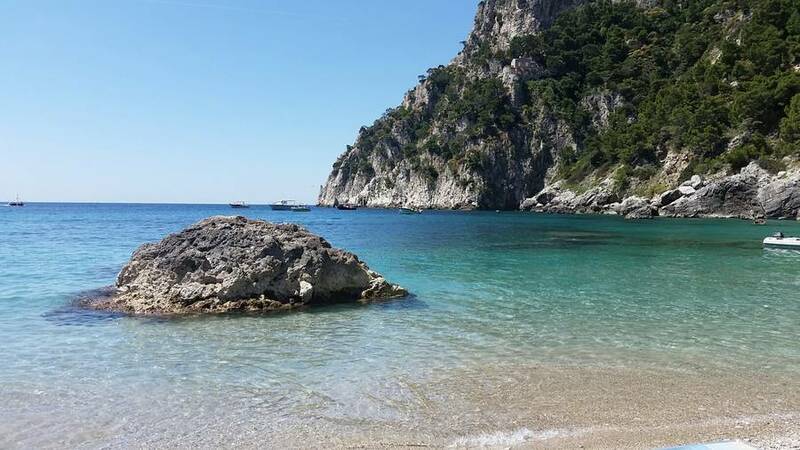 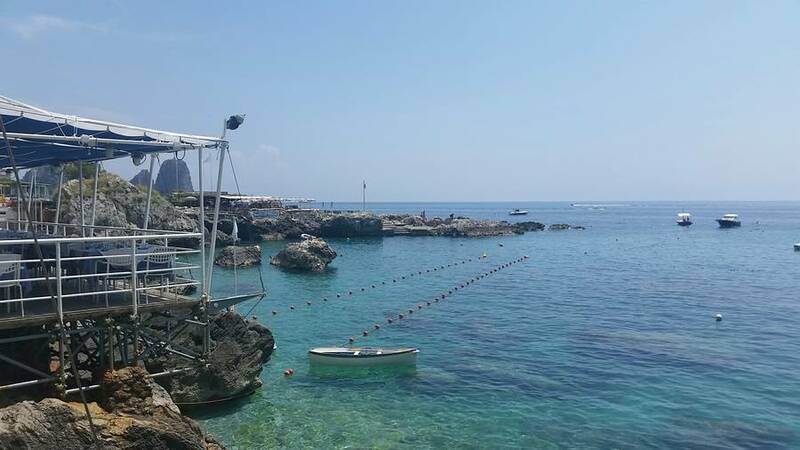 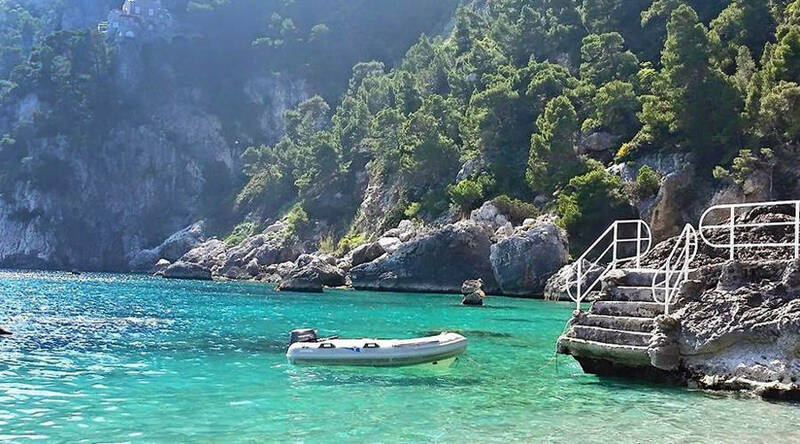 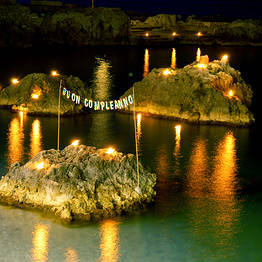 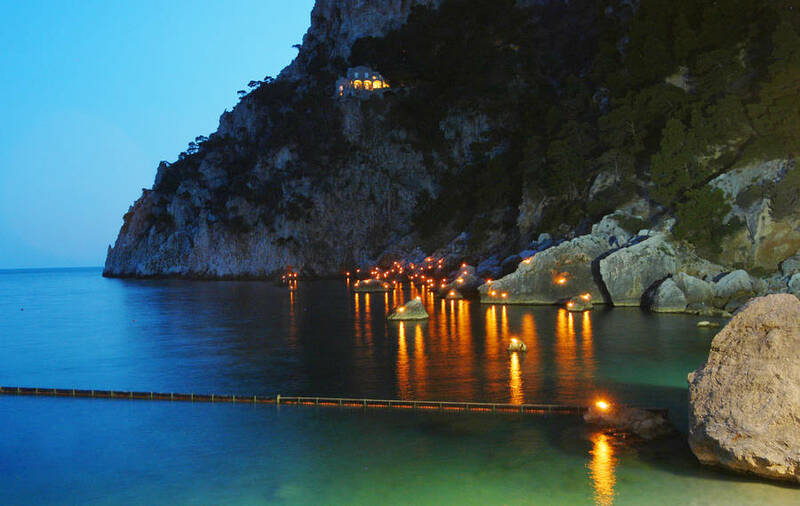 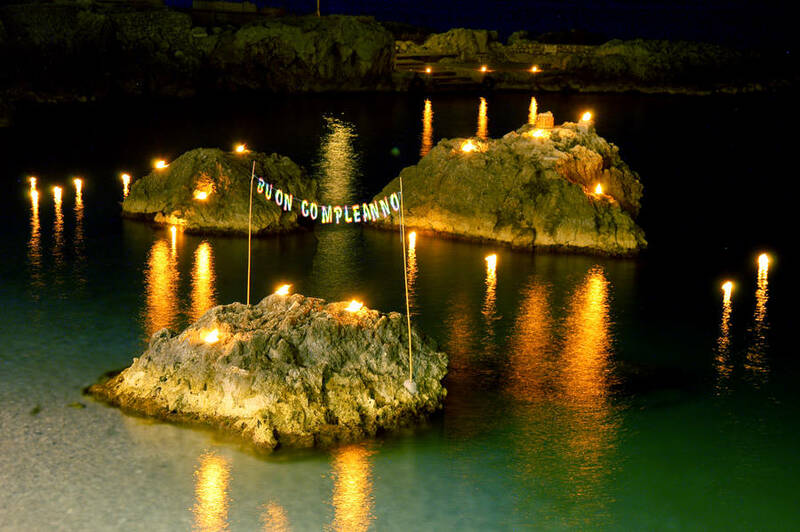 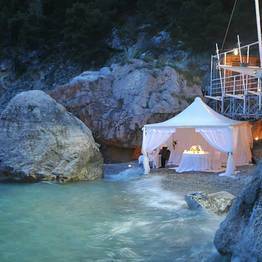 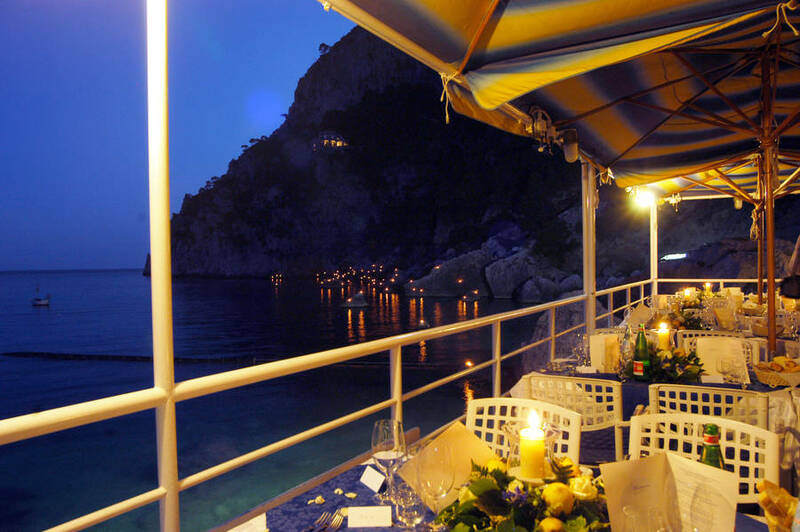 Providing a wonderful, water-edge location for that dream wedding reception or anniversary party, da Gioia is one of Capri's most sought after summer event venues. 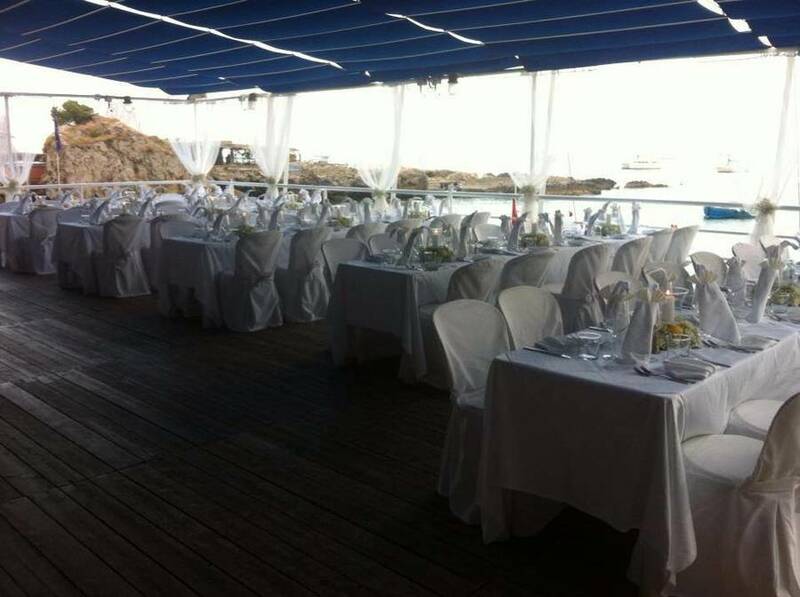 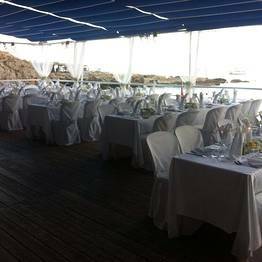 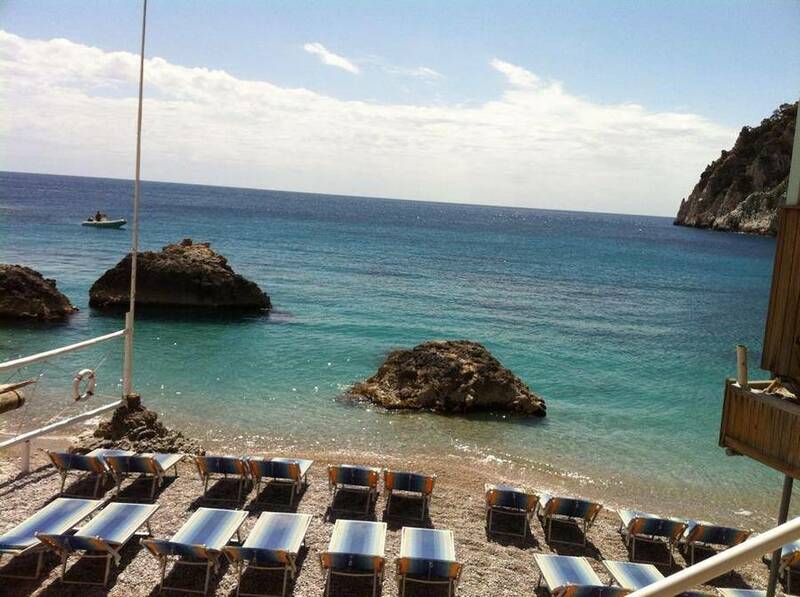 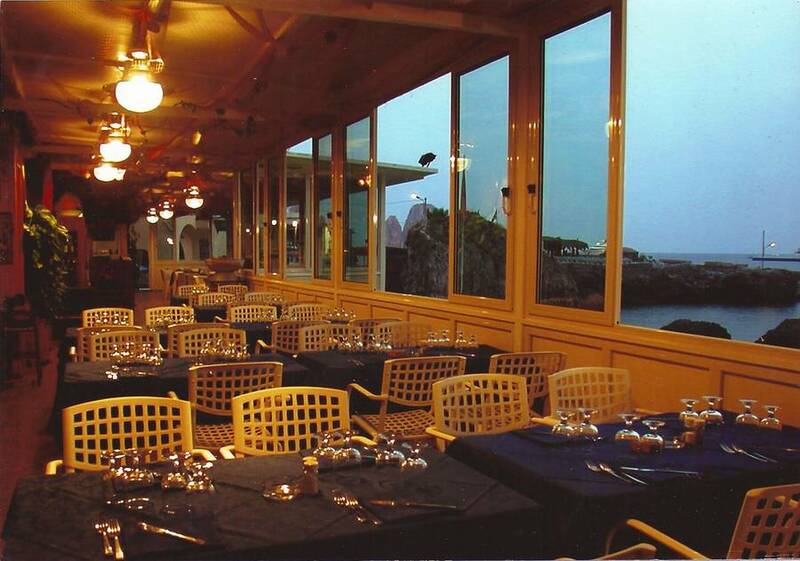 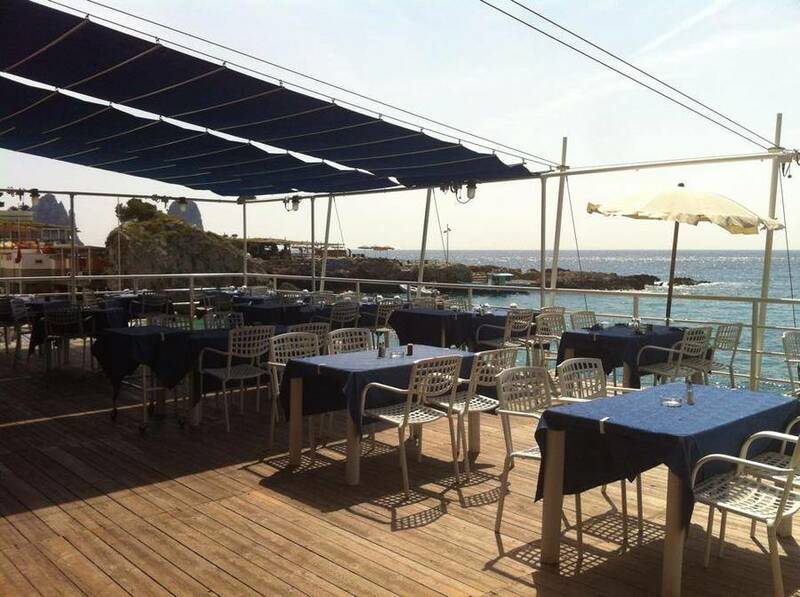 "A perfect location to enjoy the sea and the seafood! 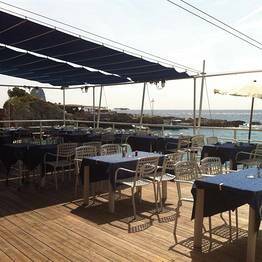 The beach is wonderful and the terrace where to eat has an amazing view! 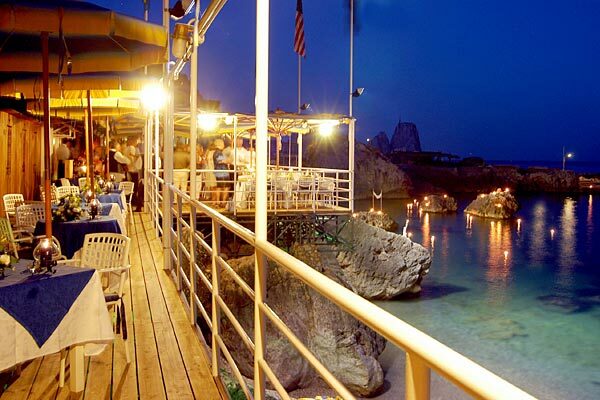 I recommend it." 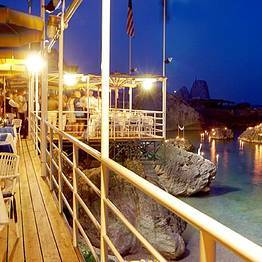 "I loved that place! 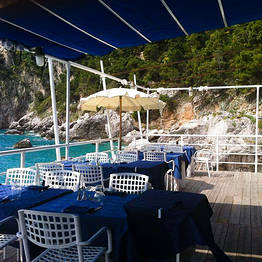 The panorama is really stunning and you can enjoy it eating on the wonderful terrace of the restaurant. 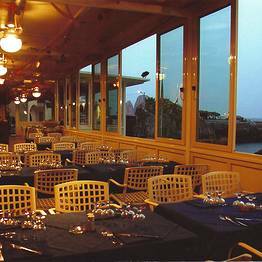 Delicious Italian food, especially the seafood specialties." 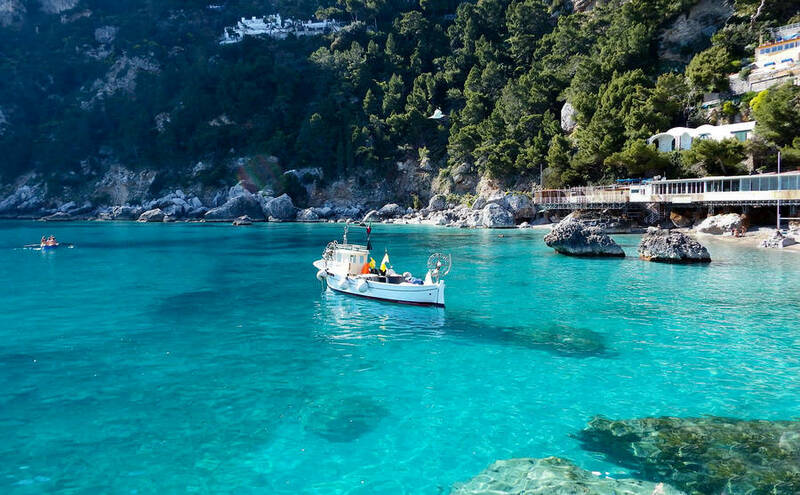 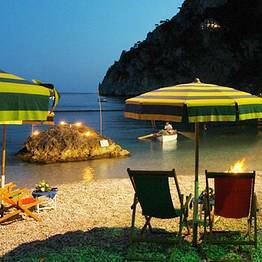 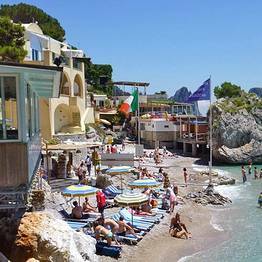 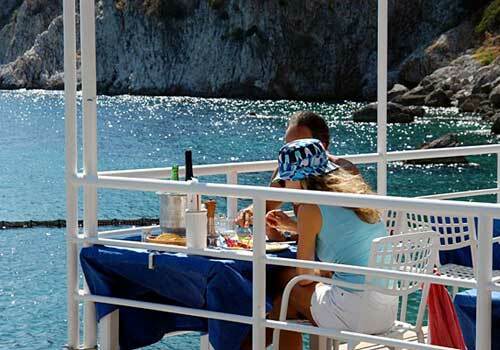 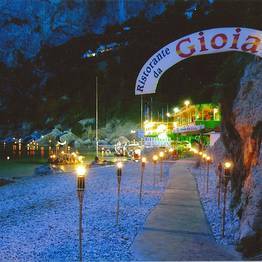 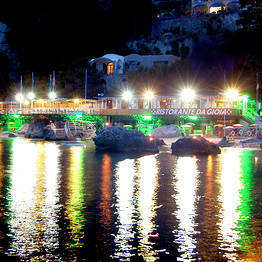 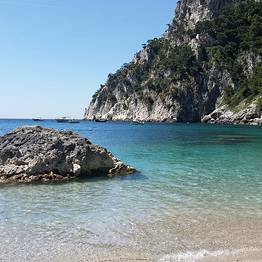 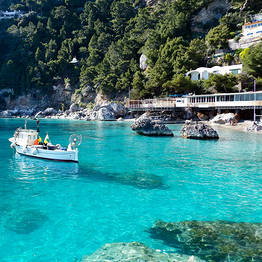 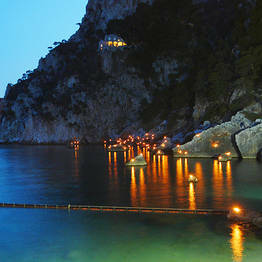 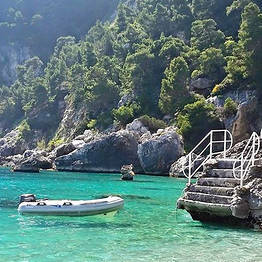 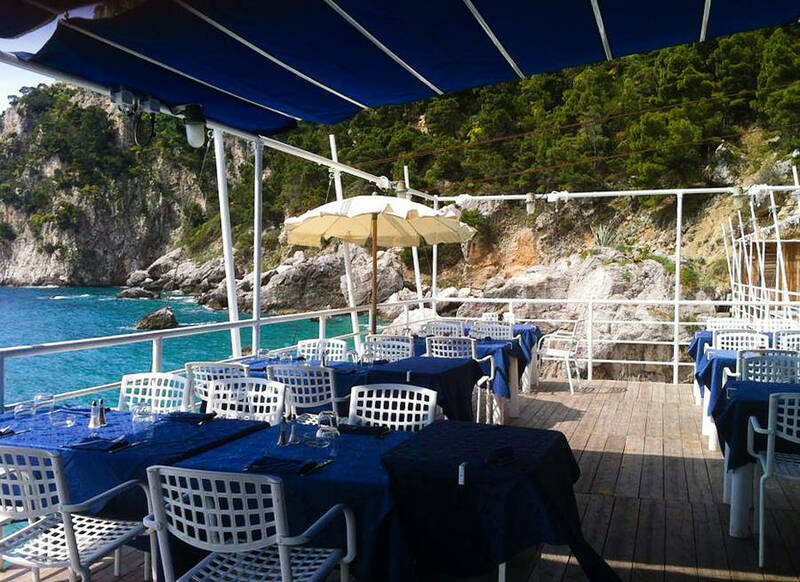 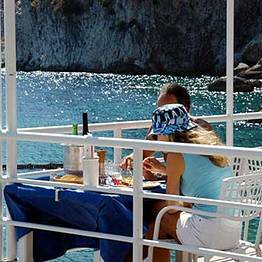 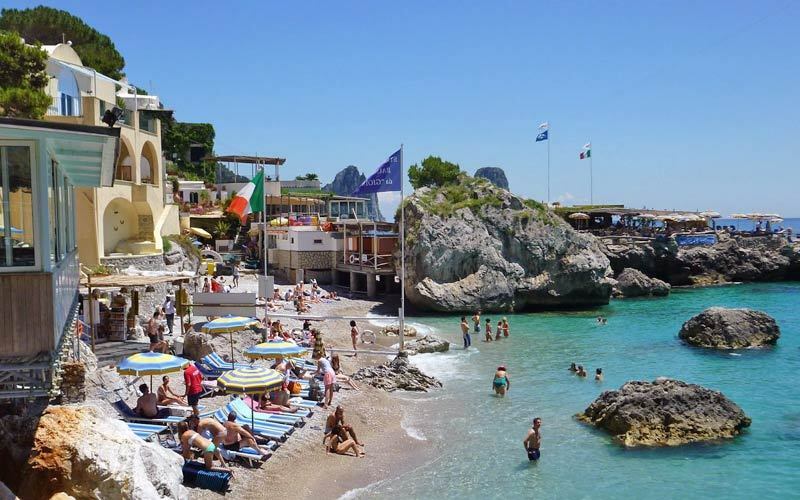 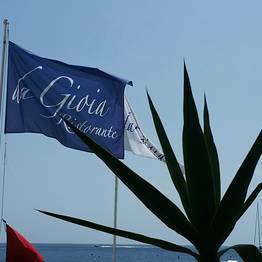 "We ate at da Gioia twice during our stay in Capri; dinner and lunch, were both really enjoyable. 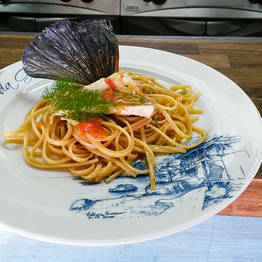 Pasta was delicious and service was attentive. 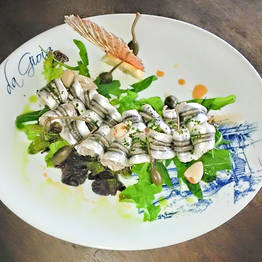 Good experience." 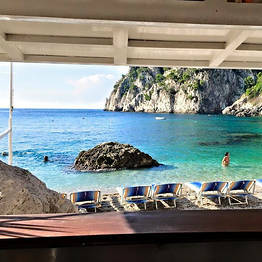 "Superb place for a lunchtime bite when the sun gets toasty. 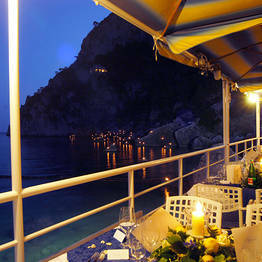 Don't miss the Caprese salad, exquisite! " 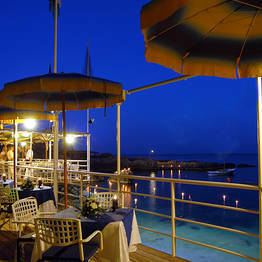 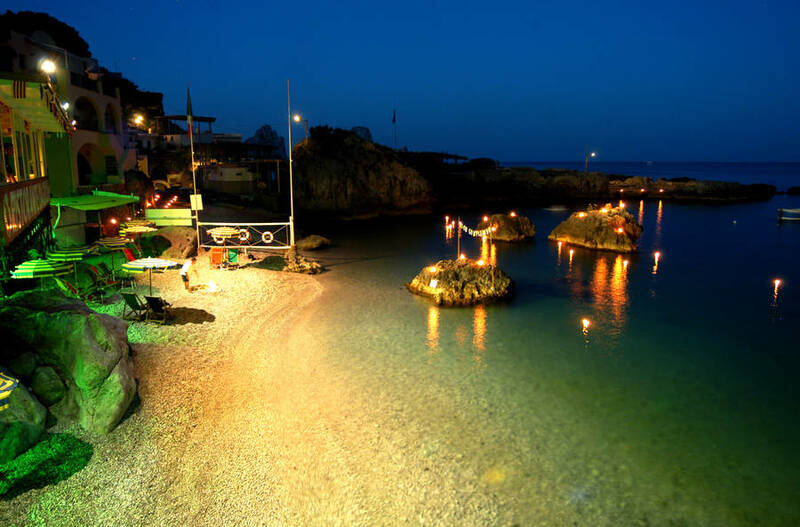 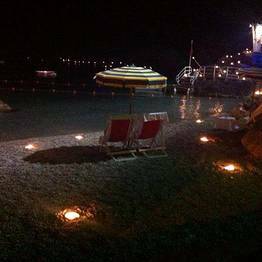 Sea front restaurant located in the famous Bay of Marina Piccola.